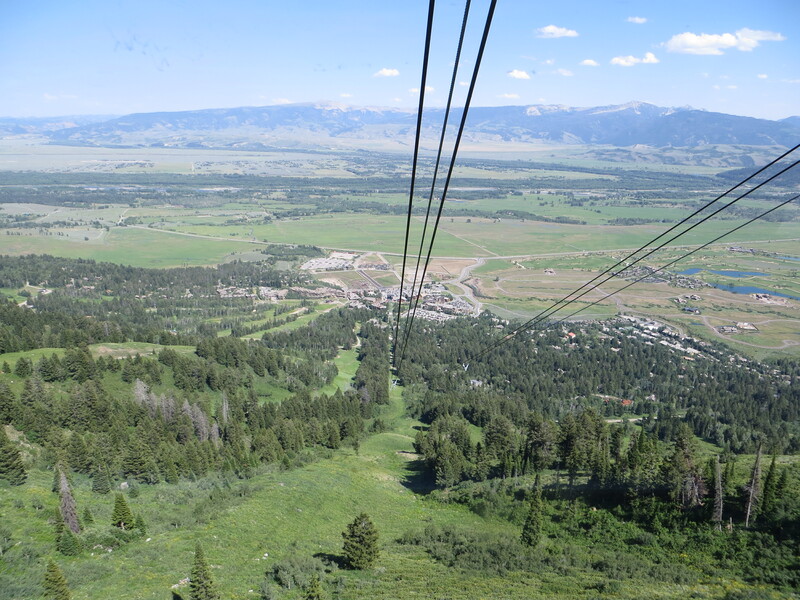 While in Jackson Hole, Wyoming last month, John and I decided that we wanted a bird’s-eye-view of the Snake River Valley. 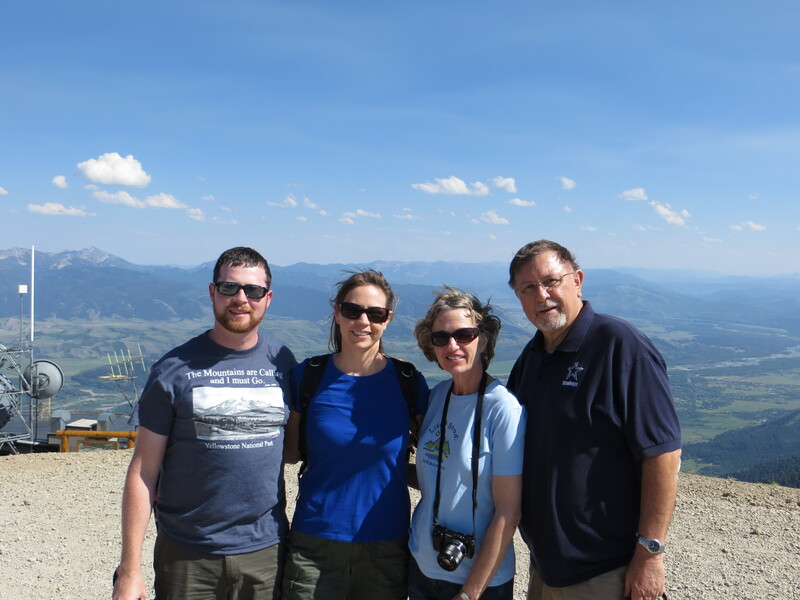 We recruited my parents to join us, and thus we were a happy party of four that rode the Jackson Hole Aerial Tram from Teton Village to the top of Rendezvous Mountain one bright and sunny afternoon during our week-long Wyoming stay. 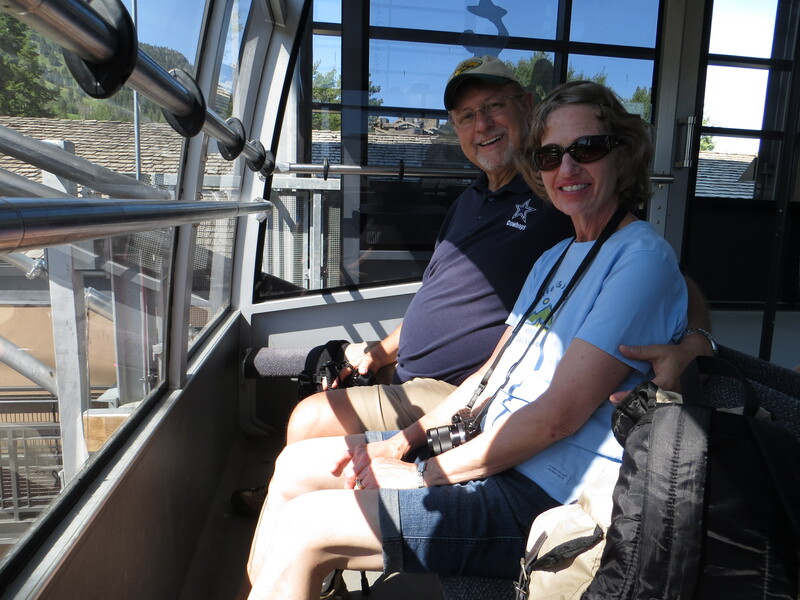 The tram ride is a speedy, 12-minute jaunt that ascends over 4,000 feet from beginning to end. 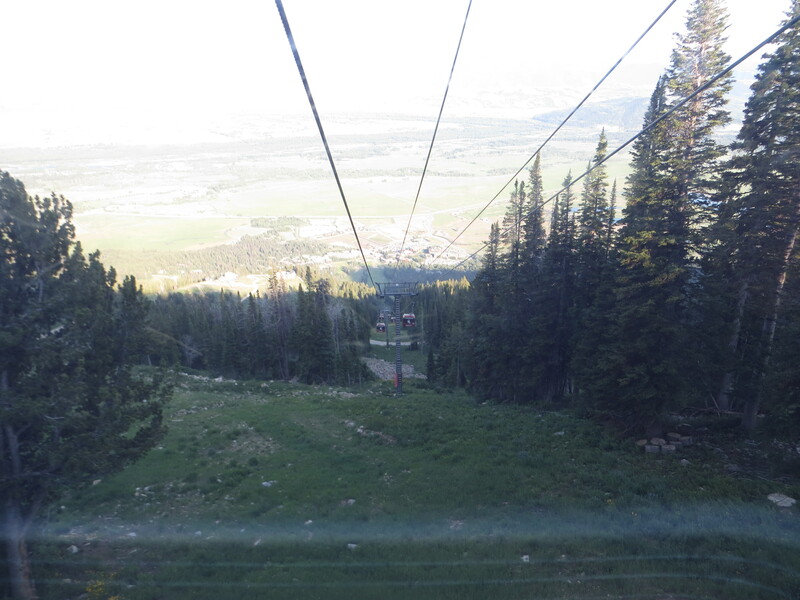 On our right during the tram ride, we got a good look at the trails we would shortly be hiking. 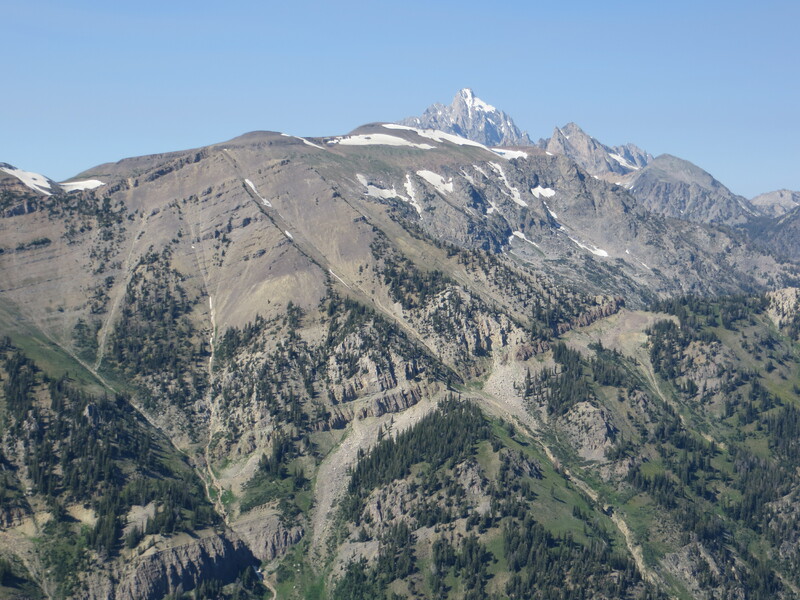 Once atop Rendezvous Mountain, we no longer had to crane our necks to see the apex of Grand Teton. 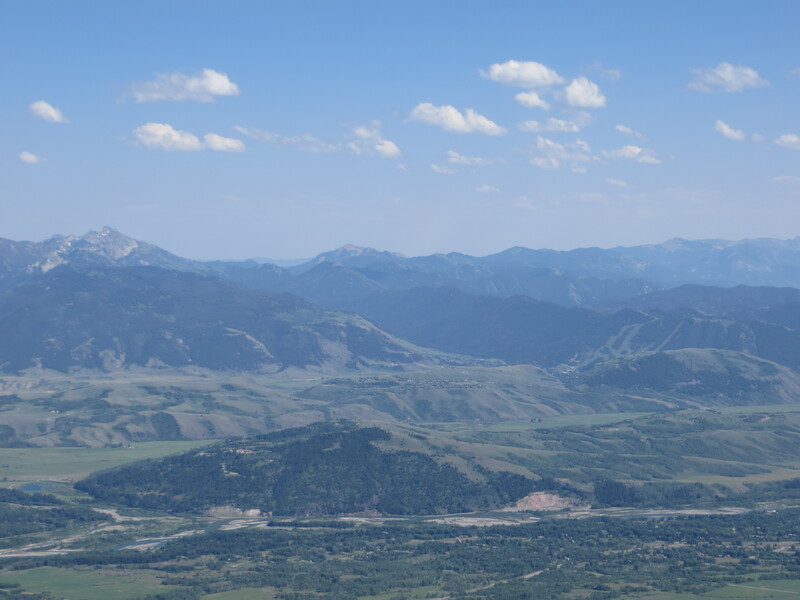 The views of the Snake River Valley were impressive, and I enjoyed the fresh perspective on the terrain that we’d been traversing for several days. 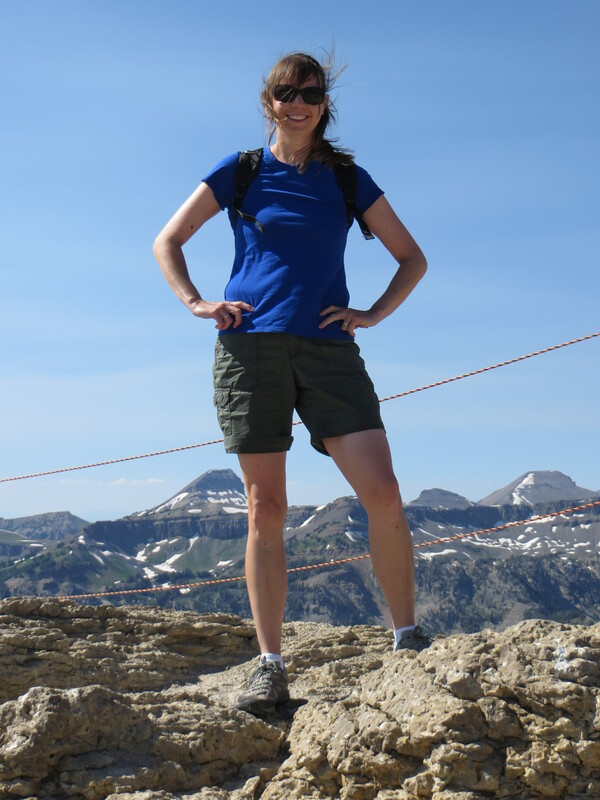 The wind roared in my ears, it was so strong, but even that could not dampen my enthusiasm at being on the tip-top of a 10,450-foot-tall mountain peak. Sharing that moment with my husband and my parents only made the experience that much more memorable. 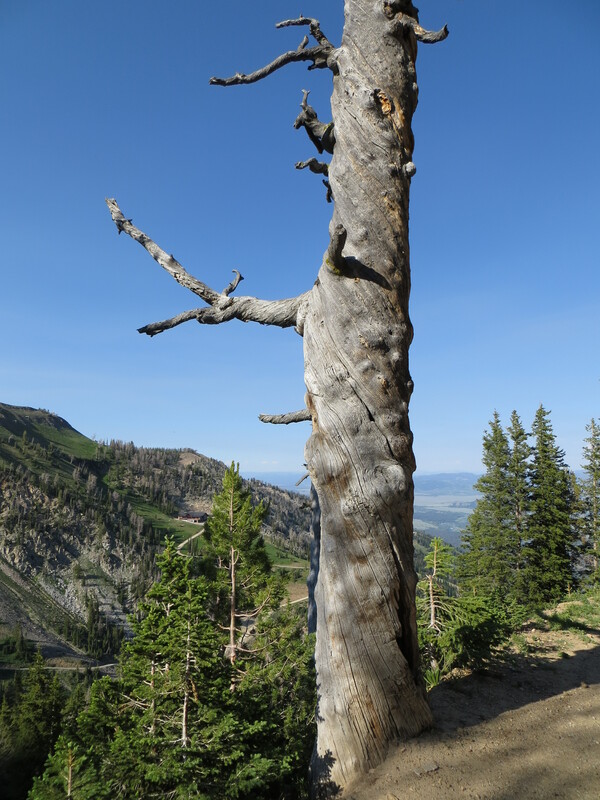 When we had our fill of mountaintop vistas, we embarked upon our hike. 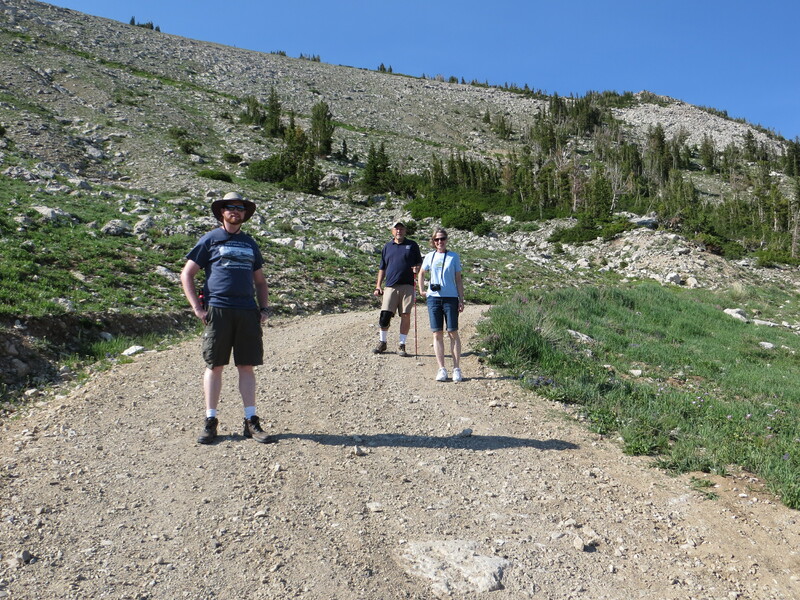 We first took the Top of the World trail, which would lead us to the Summit trail. 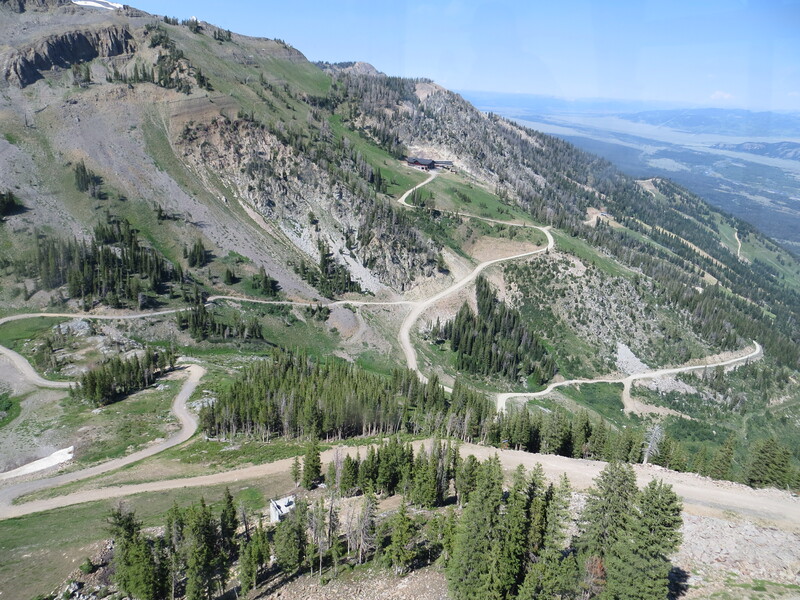 Our plan was to hike down the Summit trail until it reached the Bridger Gondola, which we would ride back down to Teton Village. 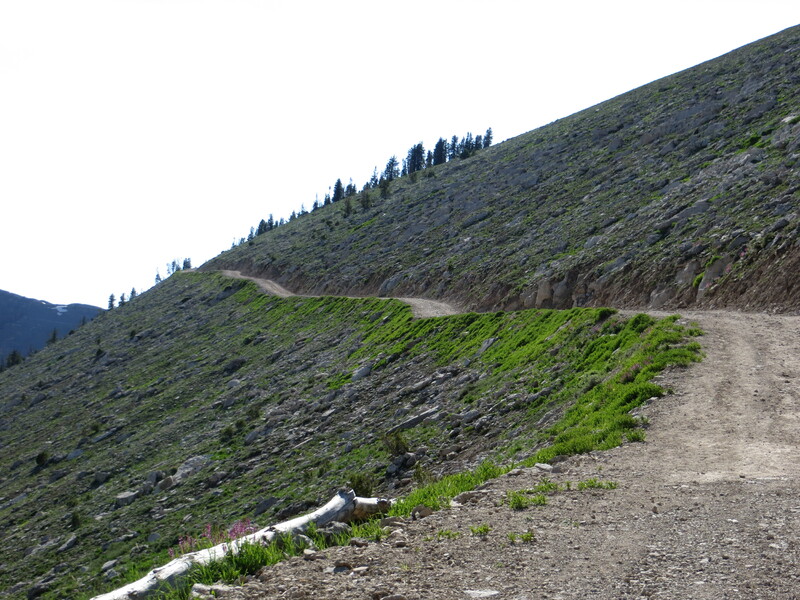 In all, our hike would be 3.4 miles in length. 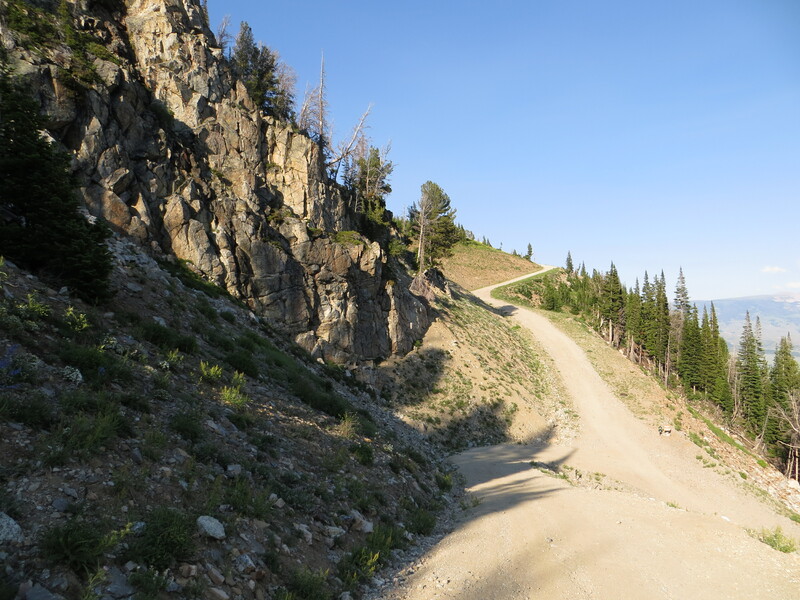 According to the guidebook, our chosen trails were either “easy” or “moderate,” but what the guidebook did not tell us was that the trail consisted mostly of large pieces of gravel, which were either uncomfortable or somewhat precarious to walk upon due to the steep grades of the path. 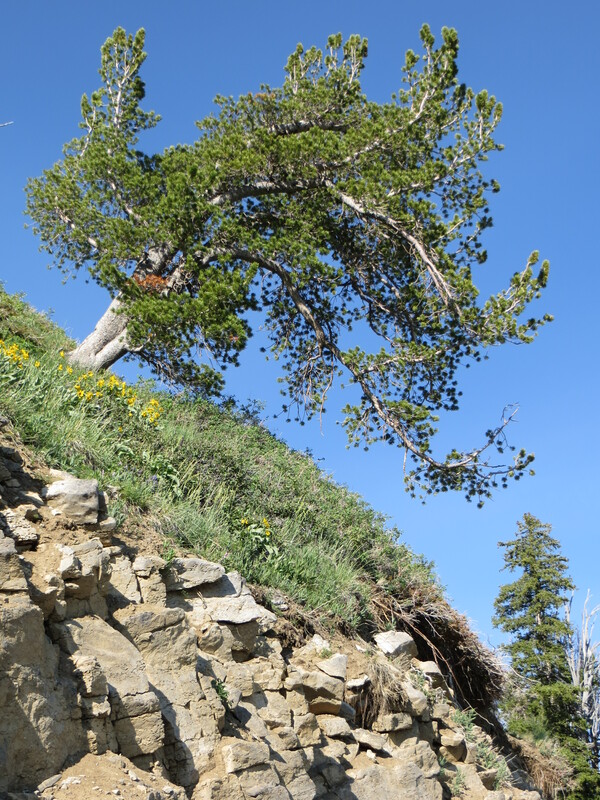 A few patches of ice and snow remained on top of the mountain. 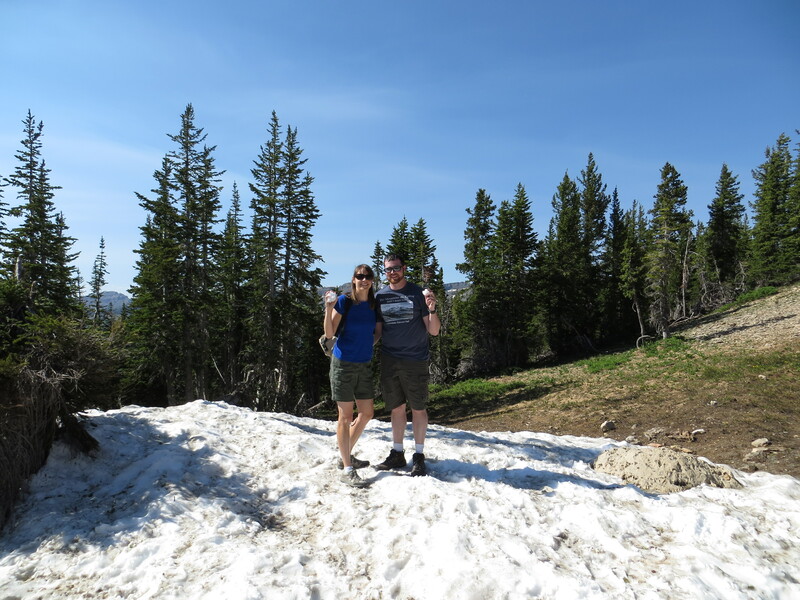 I could not believe that we could make snowballs in July! 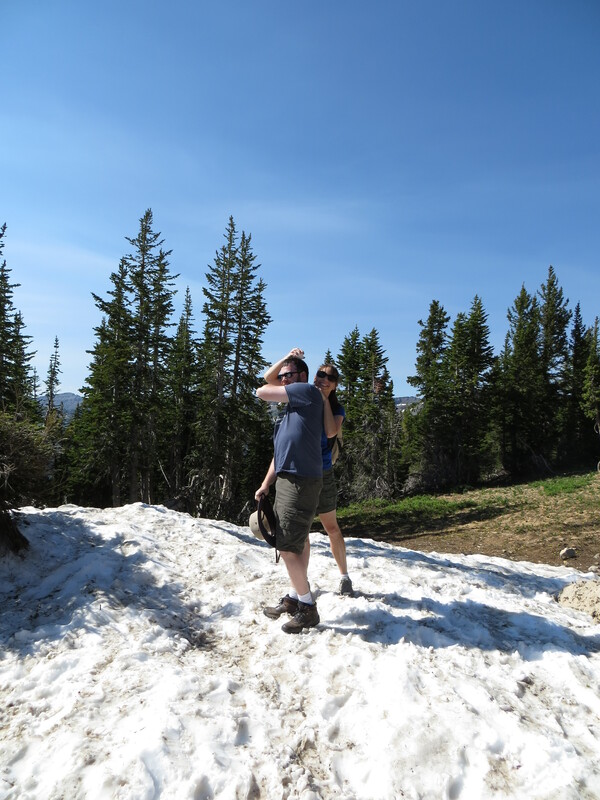 I was so proud of my dad on this hike. 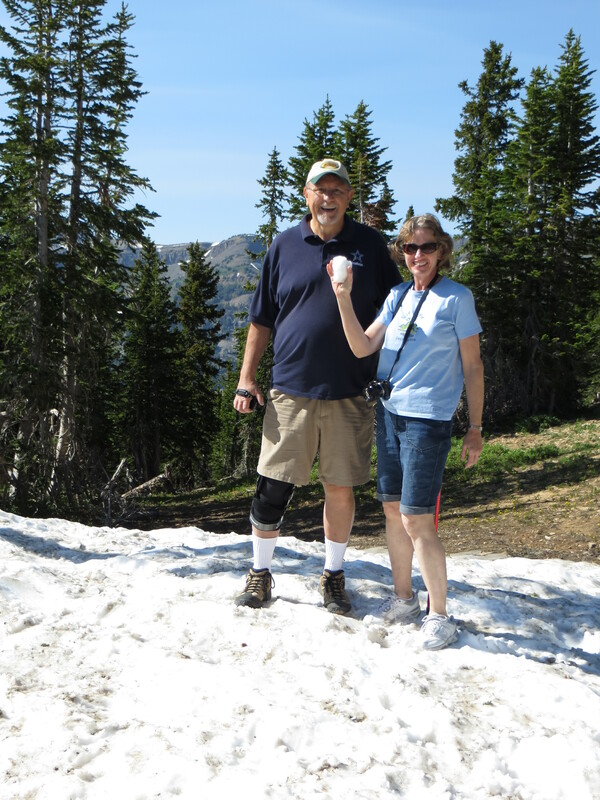 He had knee surgery in March, but he worked hard all spring to get ready for outdoor adventures in Jackson. 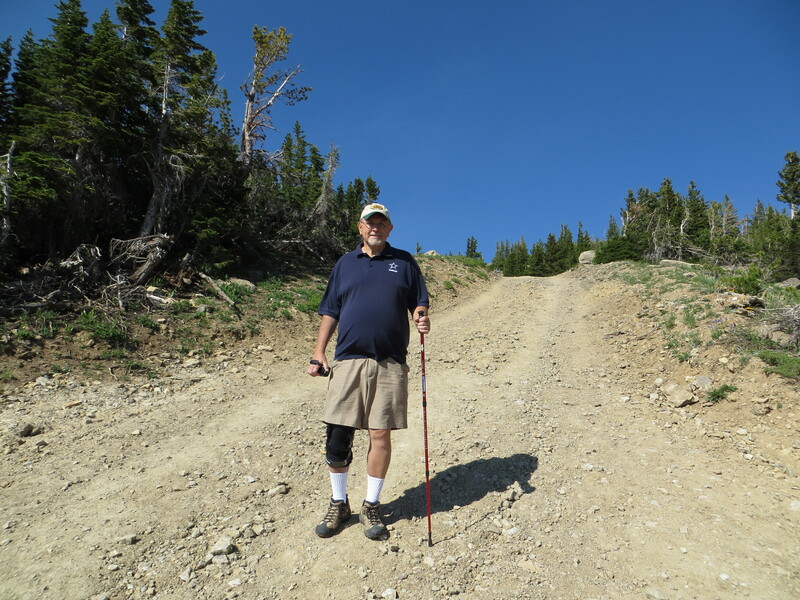 Armed with his knee brace and walking stick, Dad was able to walk down the steep and rocky trails. Thanks to her dedication to walking regularly at home, Mom kept pace right with John and me. 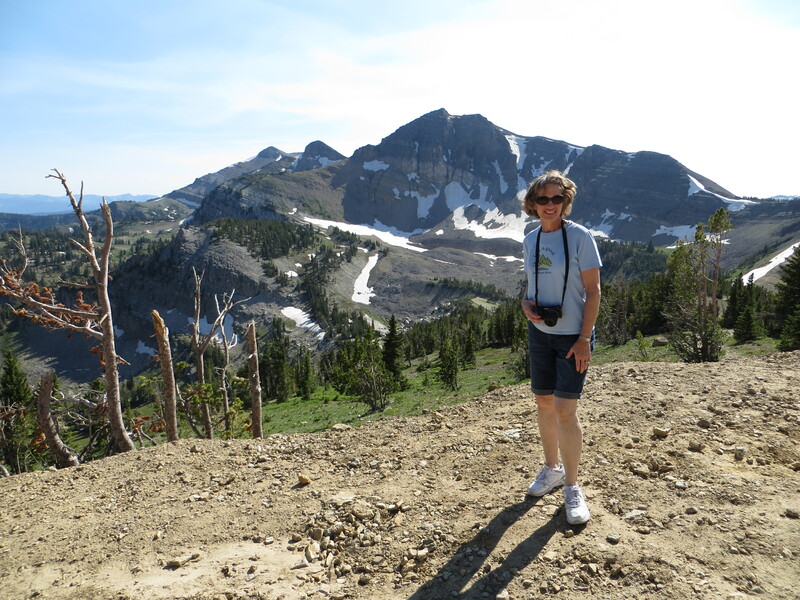 She is a true outdoorswoman! 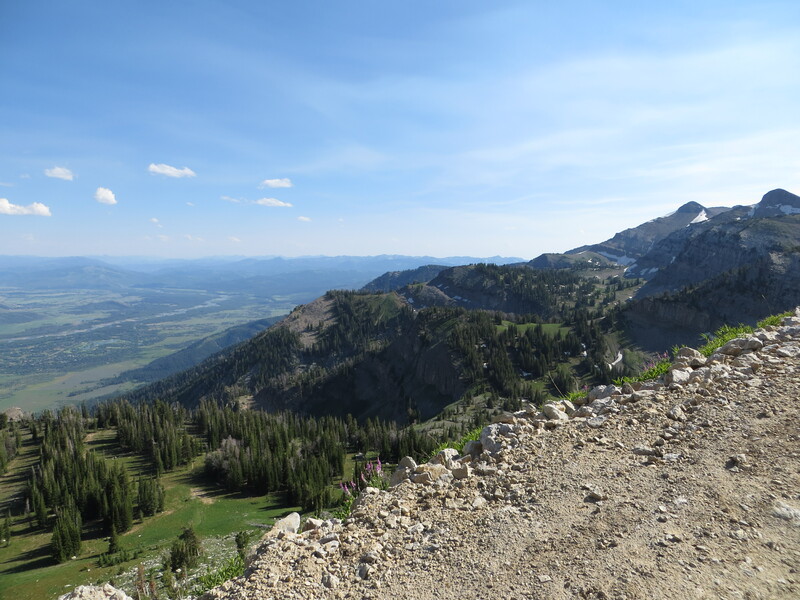 I loved the views as we descended, although the trail made me a little nervous at times when it abruptly fell away to mountain cliff. 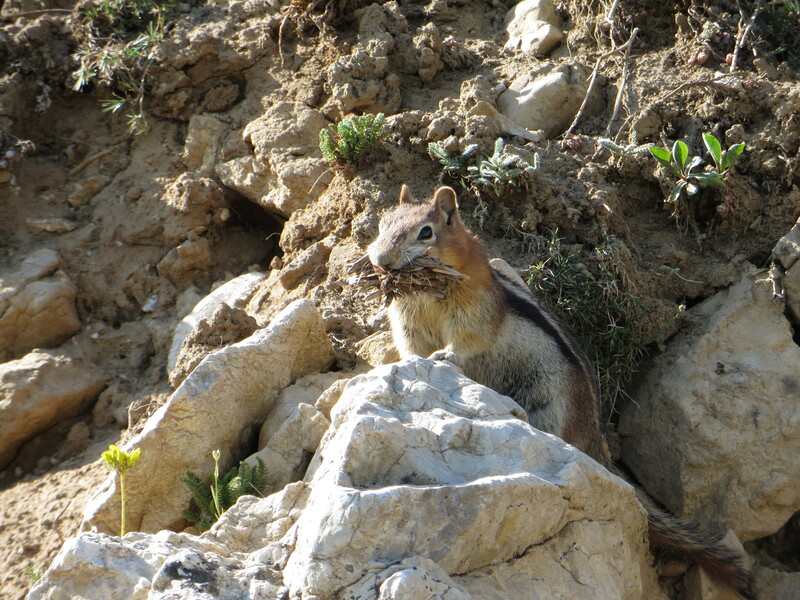 This furry guy kept us company for a while. 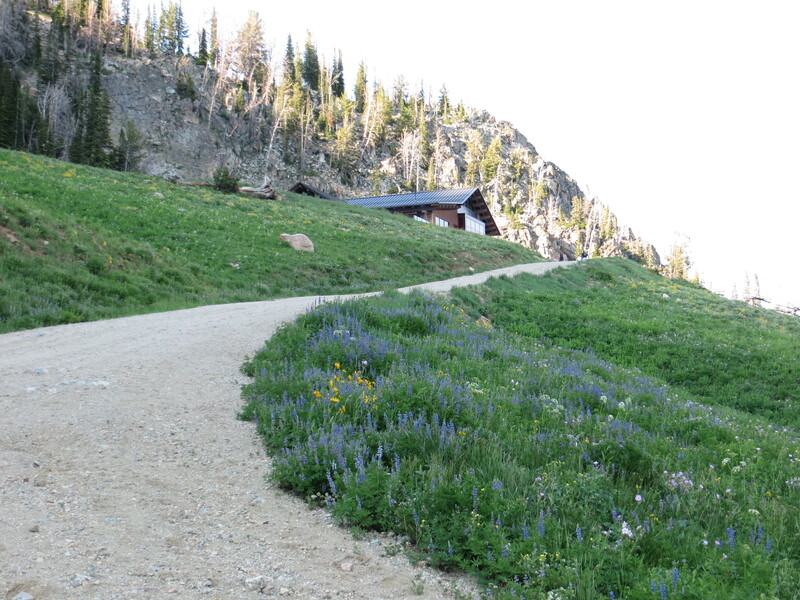 What a feeling of satisfaction comes with looking back on the trail you’ve just crossed. 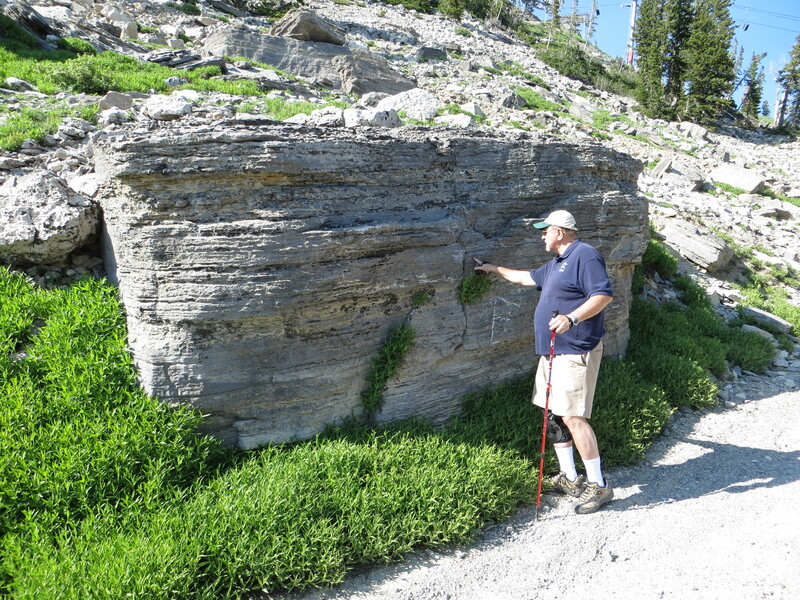 We came across a number of rock faces that sent my geophysicist Dad into geek heaven. 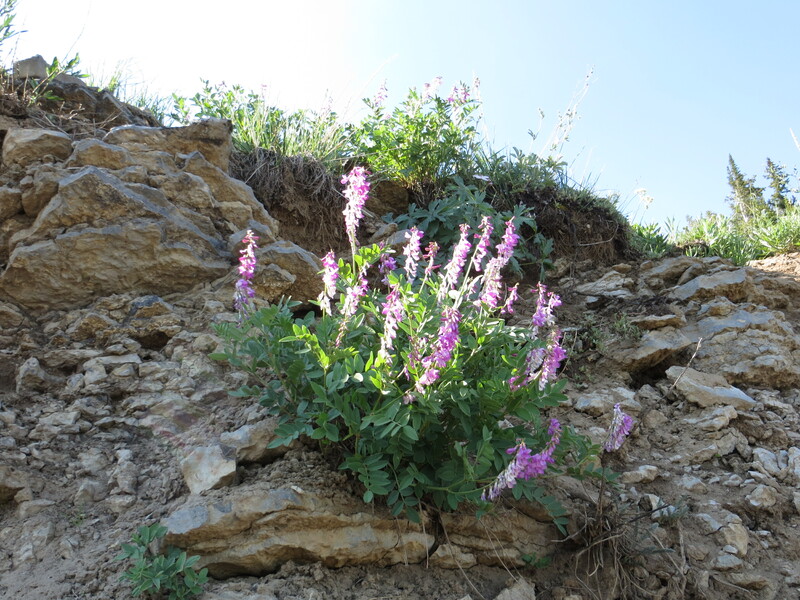 Eye-catching flora dotted the landscape. 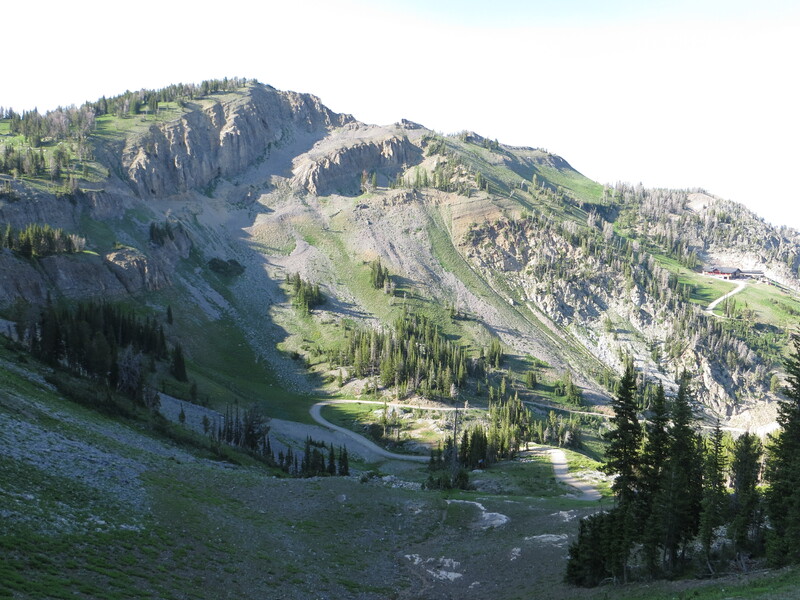 Eventually we rounded the curve of Rendezvous Mountain and once again faced north. 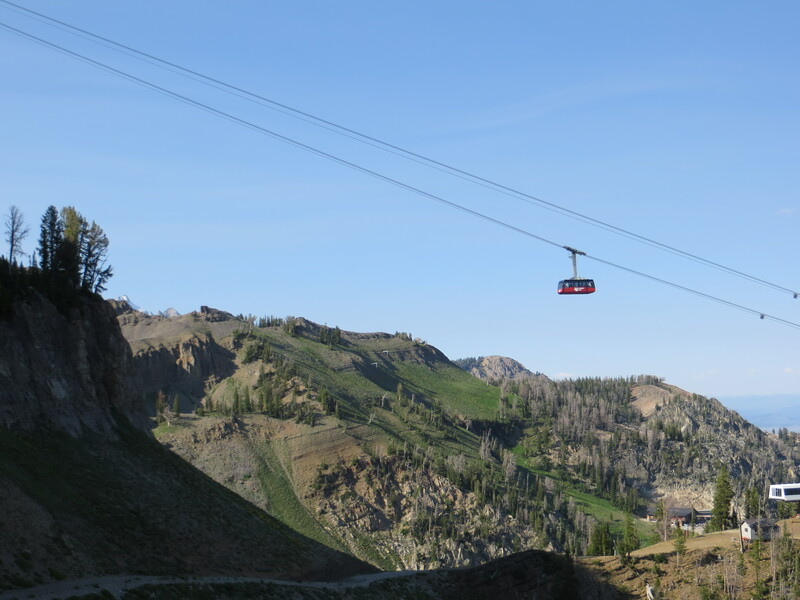 We spied the tram carting a new load of passengers up above our heads. We also could see the remainder of our path before us. 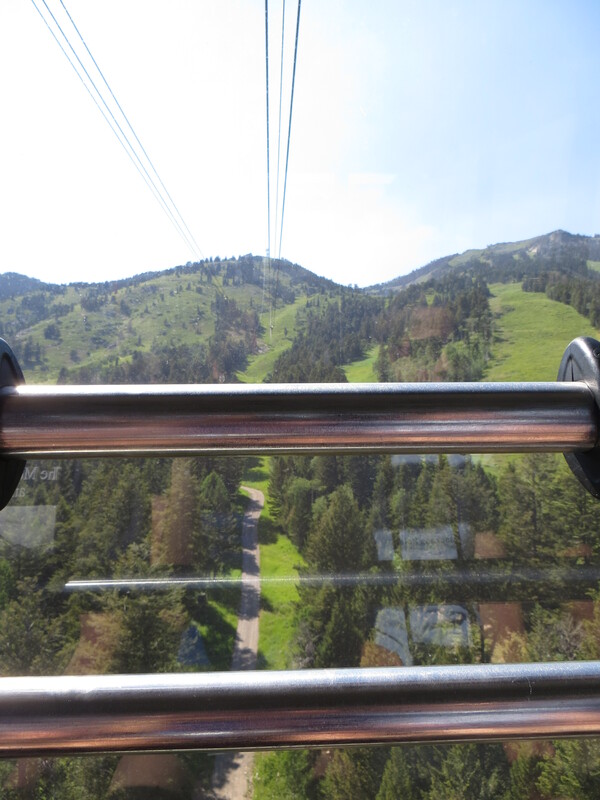 We faced continuing sharp descents before reaching one steep climb up to the gondola. 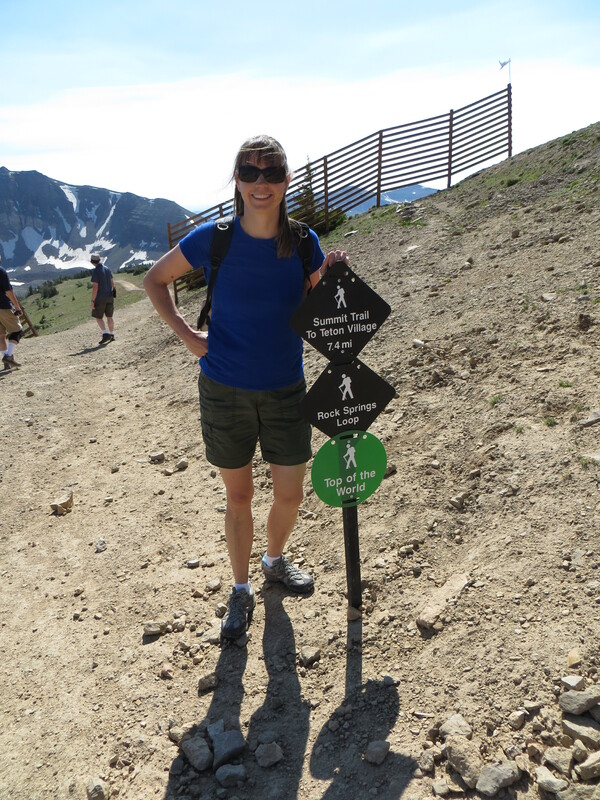 It was slow and painful on the ascent, but my toes were so grateful not to be going downhill anymore that I did not care! 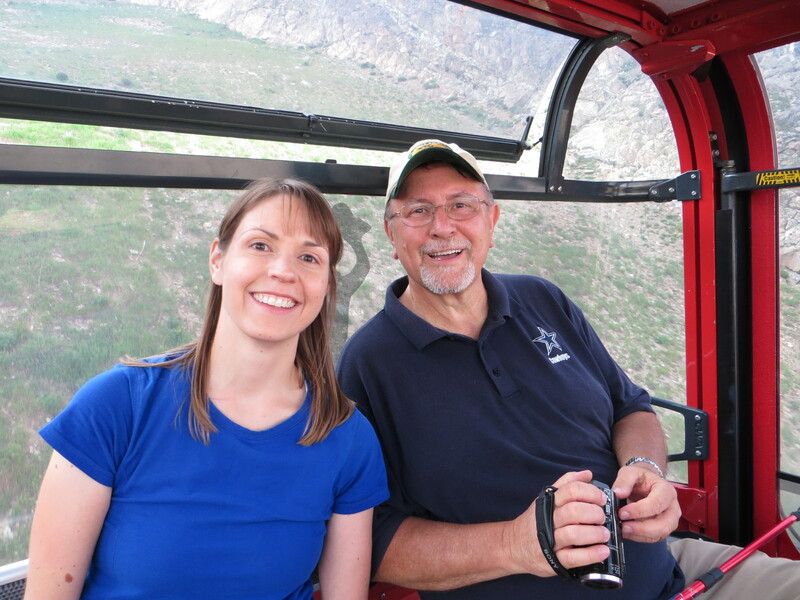 I was not the only one happy to reach the gondola seat and enjoy a relaxing ride down the mountain. 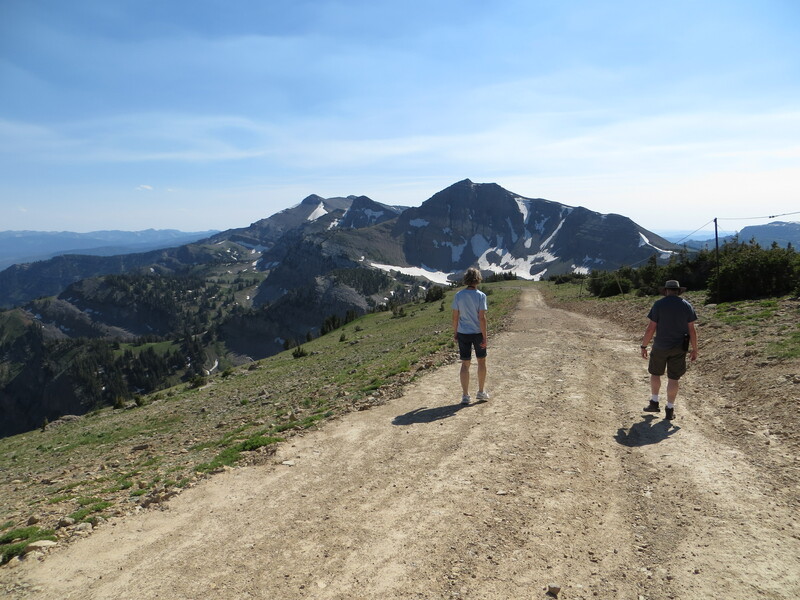 The views on this hike were among the best of the trip, and I loved having my parents along for the walk. 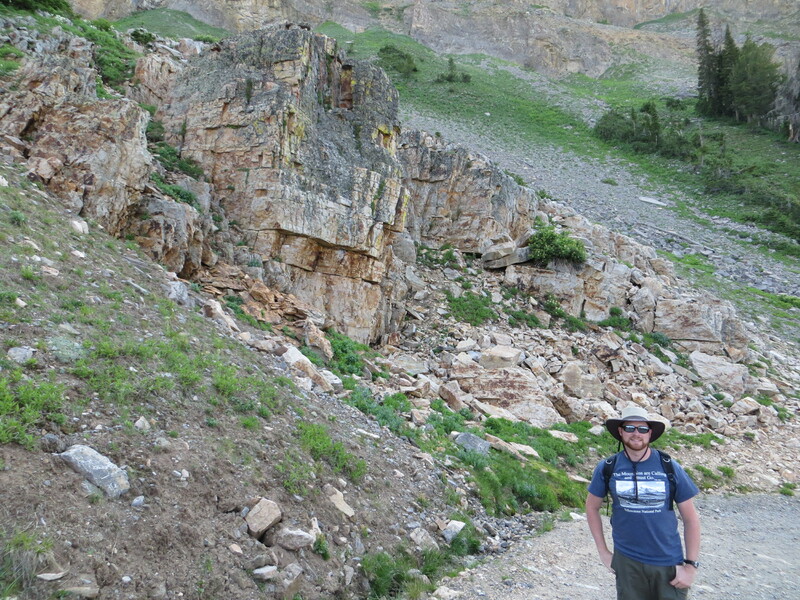 Yet due to the roughness of the trail, I cannot say that this hike was my favorite one in Wyoming. 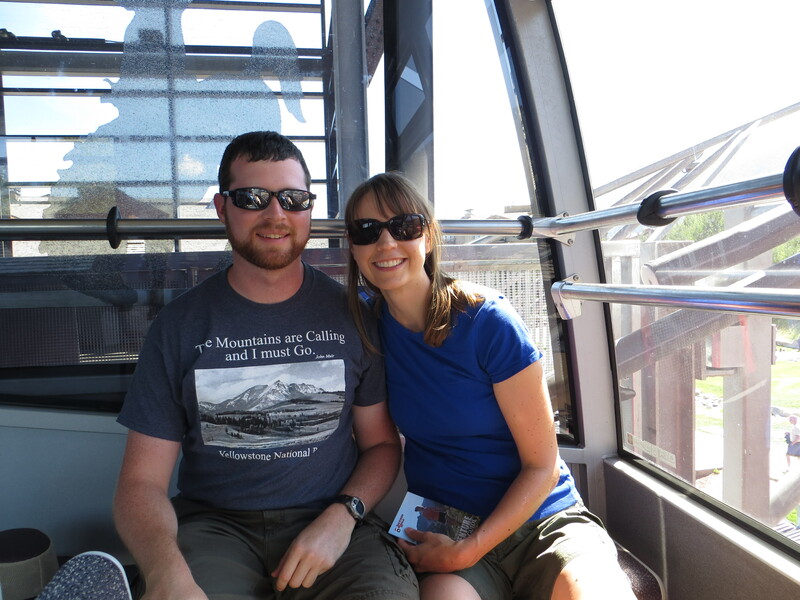 Next time, I might just stick with riding the Aerial Tram both up and down the mountain, and save the hiking for somewhere else.